First Listen: Real Estate, 'Days' The sun-dappled gems on Days recall comforting classics from countless eras, in the process calling to mind both bucolic settings and the confused, hopeful youth that made those places sing out in the first place. Real Estate's new album, Days, comes out Oct. 18. 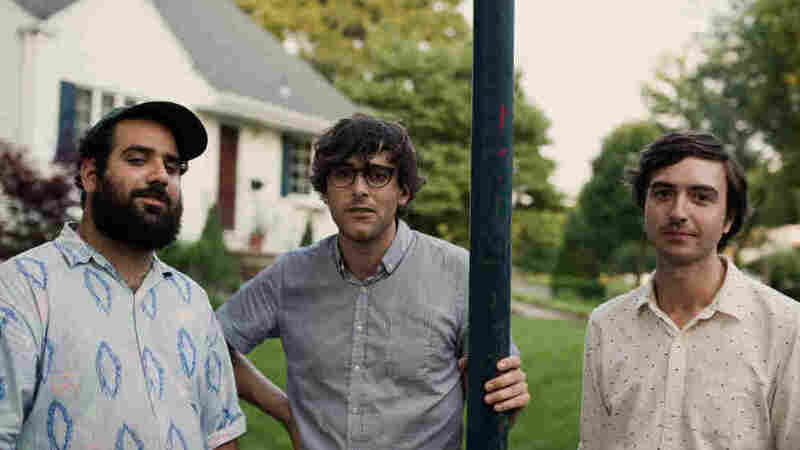 Real Estate doesn't take long to set a tone of wistful, rose-colored nostalgia on Days, its second album of reverb-y beach-pop. From the very first words out of singer-guitarist Martin Courtney's mouth — "Back when we had it so easy / I would surrender completely" — it's clear that Courtney looks to wallow in the past as a means of escaping the burden of now. Given that The Beach Boys made a virtually eternal career out of a similar formula — cheery romanticism that masks an undercurrent of alienated melancholy — it's easy to get behind Real Estate's winsome charms, which are surprisingly well suited to the arrival of cool weather. The band's music may cry out to be heard through a beachside boom box on the New Jersey shore, but Courtney's words look back in bittersweet regret: "Our careless lifestyle / It was not so unwise," he sings in the chorus of "Green Aisles." Like The Pains of Being Pure at Heart, the sounds being evoked aren't just the pop and rock of '60s beaches and garages, but also the low-power radio of '90s dorm rooms. But regardless of the source material, the gently chiming ringers on Days (out Oct. 18) stand up to the weight of scrutiny and history. These sun-dappled gems recall comforting classics from countless eras, in the process calling to mind both bucolic settings and the confused, hopeful youth that made those places sing out in the first place.